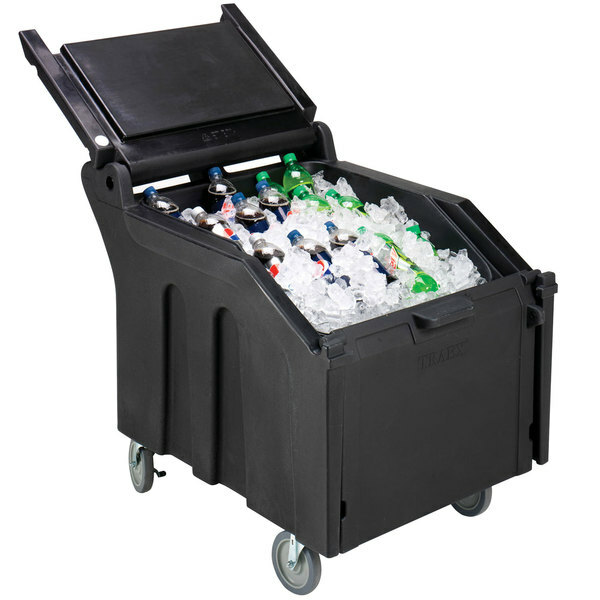 Keep large loads of ice or beverages on ice fully mobile with the Vollrath ICE140-06 Traex® ice caddy. 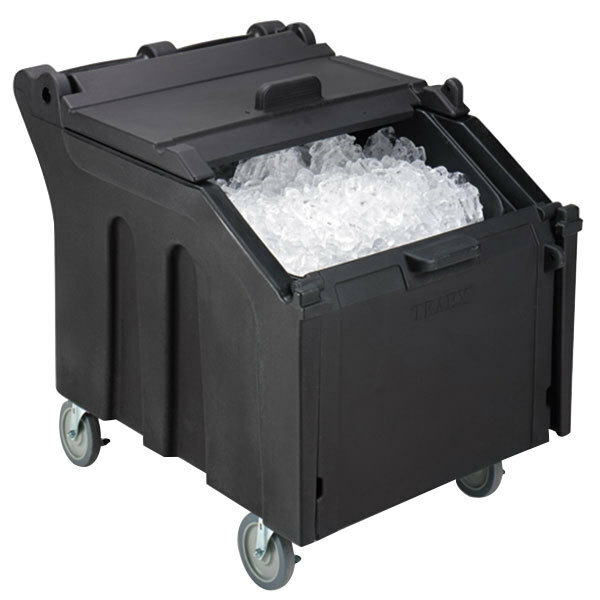 Designed to transport ice from your ice machine to other locations around your business, this caddy accommodates up to 140 lb. of ice and offers a variety of special features to keep operation as easy as possible. Plus, with a large surface opening, the unit offers unparalleled ease of loading, accessing, and removing ice. Once filled, the caddy maintains ice longer than other units thanks to the double wall design that traps in cold temperatures and the non-metal lid hinges. To help melted ice drain, the interior is smooth and sloped, encouraging the water to flow down the drain, which has a recessed design in order to avoid breakage during routine tasks. The recessed drain shelf additionally helps drainage by allowing water to seep through the drain while holding back the ice to speed up the process. If you are concerned with on-the-spot drainage, then you can attach a hose with a 3/4" diameter to redirect the water. To promote sanitation, the caddy's lid slides down in front of the opening to keep out germs. 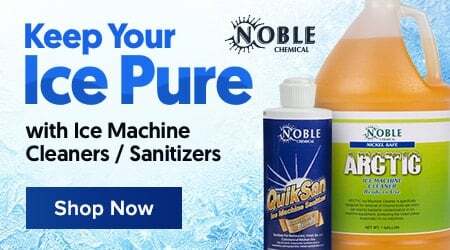 It also protects the ice and any beverages stored inside from the elements, which is great for outdoor catering and other special events. 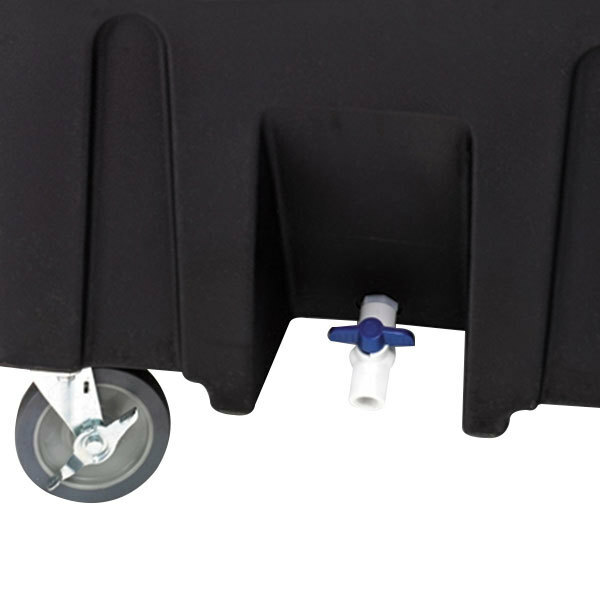 In order to simplify transportation, the caddy is set on 4 durable 5" swivel casters with locking brakes for when you need the caddy to remain in place. A handle for loading, lifting, and general maneuvering is built-in to the front of the unit for added ease of use, and to help you save space, the slanted top will fit beneath countertops for convenient, space-saving storage. Should you want the caddy to be tamper-proof, then thanks to the tag hole, you can use a lock to ensure that the caddy remains closed and inaccessible.